Can Airbnb Stave Off Poverty for Elderly Women? There are a lot of contributing factors to why women are so much more at risk to live a diminished lifestyle in old age than men. This PBS article states that women 65 and over are 80% more likely to become impoverished than men. For one thing, there is the wage gap. Over the course of a lifetime, that alone amounts to a whole lot less savings for retirement both in employer-matched contributions (for whoever is lucky enough to even have that option anymore) and in personal savings. Earning less also means lower contributions to Social Security and retirement accounts which means lower payouts on the other end. Then there is the Mommy Penalty most women face for taking any amount of time out of the workforce to have children. Not to mention the lost opportunities for promotions, being assigned to important projects and making connections with important people that women miss either because they are pregnant, just had children or even because they are childbearing age and their bosses and colleagues think that they might have children sometime soon. For women who permanently leave the workforce when they have children, they are completely dependent on their husbands or partners to provide for them not only while they are raising children, but to also, hopefully, provide some kind of stable retirement savings or income for them as well. But for many women whatever savings they have amassed themselves and even what may have been saved for them or left to them by a spouse may not be nearly enough. Besides the disadvantages listed above, women also tend to be caregivers when caregivers are needed. When a child is born with special needs and those needs are great enough that they require constant care, it usually makes more sense for the mother to leave her job to care for the child because she is likely already making less than her husband. If aging parents require a high level of care, again it is more often their daughters that will scale back work or move and leave work altogether to care for their parents. And if a spouse has an accident, is injured at war or in some other way incapacitated, it is often the wife who provides the day to daycare. Outsourcing around the clock caregiving can be extremely expensive, yet when a family member provides the care it is unpaid and often underappreciated. But now, according to this report for Airbnb, the fastest growing demographic in the Airbnb database is senior women. There are a number of reasons for this. I tracked down Richard Fetig, the founder of Short Term Rental Secrets to ask why this is, what it means for women in retirement, and for the rest of us as we move toward retirement. Richard used to be a traditional landlord and still has some long-term rentals in his portfolio, but for the past several years he has been working on his own 15-year plan for retirement based on the short-term rental market. If you are in a position to purchase new properties and set them up as short-term rentals, then you can follow Richard’s 15 year plan too, which involves getting 15 year mortgages on the properties, using the short-term rental income to pay the higher mortgage rate, and then in 15 years, each of the properties will get paid off and provide substantial income for your retirement. If you aren’t in a position to buy property right now, but still want to get in on adding an income stream using your current home, you can rent out a portion of your home, a spare bedroom, or even a sleeper sofa in a den, and start making money right away. Richard has a few tips on how to succeed with your first listing. 1. Don’t hide anything. If there is something about the room, the home or even the trailer that you are renting (some people buy an airstream or other camper trailer and put it next to their home to get started), don’t try to take pictures in a way that hides any less than desirable feature. The worst thing you can do is make a guest feel tricked and disappointed when they arrive. Better to point the feature out and try to find some positive spin on it. If there is no positive spin to provide, just disclose. If you have young children or dogs and they tend to make noise, put that right in the listing so the guests know that if that kind of noise bothers them, to stay somewhere else. If you live next to a hoarder who has lots of junk in their yard, take a picture of it and talk about the eclectic collection of collectibles next door. If you don’t let them know about things like this up front, you will very quickly find yourself with low customer ratings on Airbnb or VRBO. 2. Take great photos and a lot of photos. Show both the inside and outside, the bathrooms, the kitchen if they get access to the kitchen. Do they get their own bathroom? If they will be using the same bathroom you use, be sure to clear the area of your personal toiletries (both for the photo and when they arrive). Also take photos of the road outside and nearby attractions, restaurants or other services that will be readily available to them when they arrive. If there is a coffee shop within walking distance, take a picture of that and let them know how long it takes to walk there. If your town has a cute and historic downtown, feel free to take pictures of that as well. Is there skiing nearby? Or something else seasonal? Feature that too. 3. Gift Basket. This can be featured in the photos as well. It is great to put together a little basket of things for your guests when they arrive. This could include creatively folded hand towels, shampoo and conditioner samples, maybe some coffee from a local coffee house, chocolates from a chocolatier, or coupons for some of your favorite restaurants in the area. Creating a binder with recommendations for restaurants, coffee houses, and other attractions is a great idea as well. 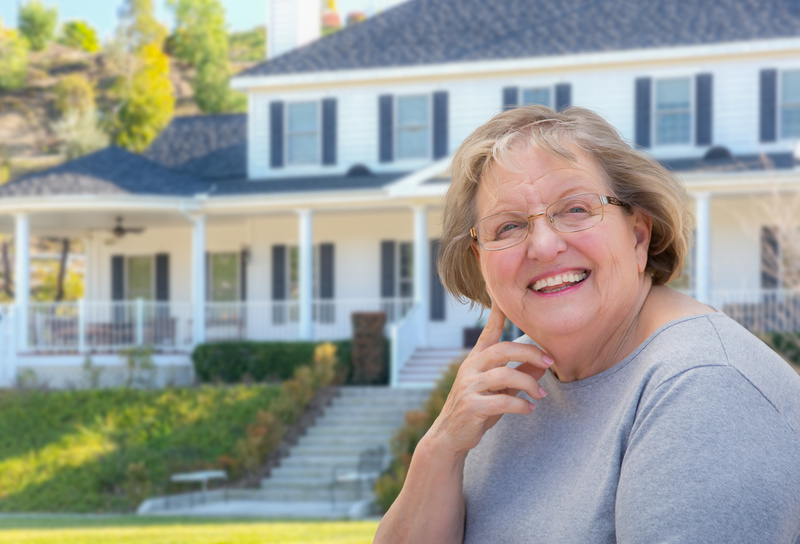 A lot of retirees think of their home as one of their biggest assets and investments. In the past the only way to pull money out of your home if you needed it was to take either a home equity loan or to get a reverse mortgage. Both of these can be problematic in that the home equity loan can be costly in interest and the reverse mortgage will eventually result in you no longer owning your home. Airbnb provides a new option for both retirees and the rest of us to make the most of our homes, possibly even creating a new source of income for retirement. Are you currently Airbnbing a rental property or some part of your home? I’d love to hear how it’s going for you! Email me at [email protected] and let me know!